Zoner Photo Studio portable helps you take control of your photos. Zoner Photo Studio is a complete toolbox for managing and processing digital photos. 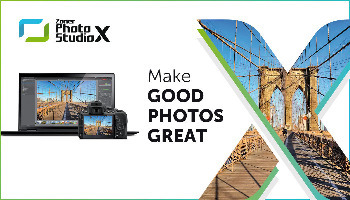 Acquire pictures from your camera, organize your archive, and edit and share your photos – it’s never been easier! Zoner Photo Studio is useful for beginners, advanced users, and experienced photographers, who can select one out of four different variants.Zoner Photo Studio is made for every user of digital cameras, scanners, and mobile devices. It contains everything you need for quality digital photo processing from start to finish: tools for downloading to your computer, for automatic and manual editing and defect correction in pictures, for easy photo management, and for sharing and publishing photos.